Religious tests for holding public office are banned in the Constitution and go against the very core of the American tradition. But you wouldn’t have learned that on Wednesday listening to Sen. Bernie Sanders, I-Vt., as he questioned Russ Vought, the nominee for deputy director of the Office of Management and Budget. His questioning of Vought was nothing less than theological interrogation, and in the end, excoriation. Here’s what unfolded when Sanders took the mic. In a disjointed line of questioning that had nothing to do with budgetary issues, Sanders veered into the theology of salvation, singling out an article Vought had written for a conservative publication in 2016 that outlined basic Christian doctrine about God in contrast to the Islamic view. This exchange spotlights comprehensive ignorance on the part of Sanders—ignorance of the American tradition, of religious toleration, and even of what religion is. It’s unlikely that Sanders doesn’t realize religious tests for public office are banned in the Constitution. I suspect he would applaud that ban as much as the next person, at least in the abstract. The implications of Sanders’ questioning are far-reaching. If taken to its logical conclusion, Sanders’ view would exclude all orthodox followers of an Abrahamic faith from holding public office. Every Abrahamic religion—Christianity, Judaism, and Islam, in their historic forms—believes that some people either will, or may be, condemned in eternity. This is Abrahamic Religion 101. In a democratic society, founded on the principle of religious freedom, we can all disagree over issues, but racism and bigotry—condemning an entire group of people because of their faith—cannot be part of any public policy. This statement crystalizes the problem. Sanders wants public officials to have religious freedom, except when their religious views contain something he might consider bigoted, such as a view of hell or condemnation. What Sanders is really pushing for, whether he knows it or not, is a “Universalists Only” policy for those who would serve in public office. You can believe what you want, as long as your theology doesn’t teach that others might one day be judged. U.S. 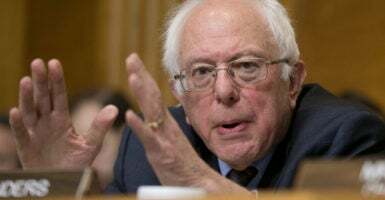 Senator Bernie Sanders is under fire after interrogating a Trump nominee over his personal, mainstream Christian beliefs. Here's why his remarks are so dangerous. And with that brush stroke, Sanders excludes historic Christianity, Judaism, and Islam from the public square. Ironically, his view of religion makes little room for some of the most devout followers of religion. We have diverse political perspectives, we can also have diverse faith perspectives. Many faith traditions have complex and exclusive theological beliefs, and whether we agree with them or not, those diverse beliefs are protected by the Constitution. Such beliefs have always been part of the fabric of American public life. But that doesn’t deter Sanders. Religion that is pure and undefiled in the eyes of Bernie Sanders is progressive, nonjudgmental—in a word, unorthodox. Instead of a government that is truly of and by the people, Sanders’ logic would give us government of and by the unorthodox—a kind of theocracy of the heretical. But what is perhaps most tragic here is Sanders’ complete lack of imagination for how people with deep differences in worldview can coexist with each other. In Sanders’ view, if you think others will be condemned in eternity, you cannot possibly love or respect them, let alone live in peace with them. Your belief that they might be condemned is proof enough that you hate them. But how is that logical? That’s as absurd as saying Joe sees a man in the street who is going to get hit by a bus, and therefore, Joe hates him. Perhaps Sanders has only encountered hateful examples of religion in his 75 years of life. Perhaps the reason he can’t fathom true religious coexistence in the midst of deep disagreement is that he’s never seen it happen. Yet it does happen, all the time. To see a beautiful picture of this, Sanders need look no further than the conservative movement. Conservatives are a diverse smattering of evangelicals, Roman Catholics, Mormons, Jews, and secular Americans. We believe all kinds of things about each other’s eternal fate that Sanders would probably find abhorrent—yet here we are, arm in arm, working for a common political cause. Sanders’ total lack of imagination here is tragic at a time when America’s ideological center is splintering. We’ve reached a critical time of polarization in which coexistence in the midst of profound disagreement is becoming more necessary than ever. Yet it seems that only conservatives are prepared to deliver that kind of tolerance. The American left pays lip service to diversity, yet in practice routinely shuns the most important kind of diversity: diversity of viewpoint. Sanders is proof of this. He seemingly couldn’t care less whether Vought identified as Protestant, Catholic, Muslim, or Hindu. Those are just externals. What he really cares about is the substance of Vought’s views. That’s the deep level of disagreement that the American left has not learned to coexist with. Sanders’ line of questioning shows an alarming disregard for the Constitution’s ban on religious tests, but it also highlights the deeper problem of our cultural moment. Chiefly, it shows that the left needs to develop a greater imagination for how people with stark differences in worldview—including about other people’s eternal fate—might actually respect one another and live in harmony. Until the secular left soaks this in, its lip service to diversity and tolerance will remain hollow and vacuous, constantly undermined by its own actions. 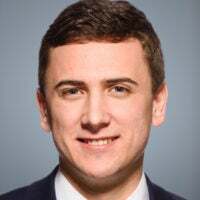 Disclosure: Russ Vought’s wife, Mary Vought, works for The Heritage Foundation, the parent organization of The Daily Signal. Russ Vought was formerly employed by Heritage Action for America, the think tank’s lobbying affiliate. Note: This article has been updated to correct the year that Russ Vought’s article was published by The Resurgent. The year was 2016, not 2015.